Hanna and Chris are a very adventurous couple and wanted their wedding to speak to that aspect of their relationship. 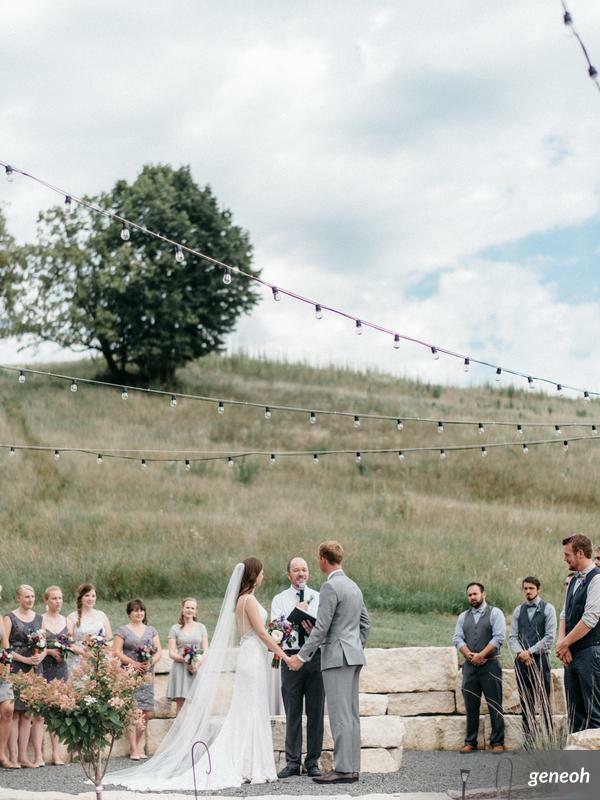 Hanna wanted to wow her guests and surprise them with her aisle...the aisle being the large hill behind the barn! Hanna hid up the hill for 30 minutes while her guest awaited for their wedding ceremony to start and when it was time for the bride to walk down the aisle here came Hanna emerging from behind a tree hand and hand with her father as they made their way down to the alter on the fire pit. Talk about a grand entrance! Hanna + Chris your day was beautiful and are so thankful you wanted to spend the first day of your marriage with us!